I went to an excellent talk by Professor Gary Wolfram, of Hillsdale College, at the Pikes Peak Economic Club last night. He explained that free market capitalism is associated with the wealthiest nations in the world and centrally planned economies are associated with the poorest nations of the world. Free markets are based on property rights and the rule of law, not the rule of man. The freest nations economically have the longest life spans. The poorest ten percent of the population in the freest countries have a greater share of the total wealth than in non-free countries. A poor person in the wealthiest/freest countries is likely to live in a house they own, the house is generally a three bedroom house, and most likely has air conditioning. Professor Wolfram explained that the way you get rich in a free society is to provide goods and services that large numbers of people want. He stated that we should celebrate people and companies that make large profits, because they have made a large number of people happy. A big reason why free market countries are so wealth is because they provide an incentive to innovate. He pointed out how many products that we use today did not exist 30 or 50 years ago. In the question period of the talk, I pointed out to Professor Wolfram that there is a strong relationship between economically free countries and those that have strong property rights for inventions or patents. The most innovative countries in the world are those with the strongest patent systems. Those countries that first escaped the Malthusian Trap were those with strong patent systems. Vice versa those countries with weak patent systems or non-existent patent systems are poor, not innovative, and are often still mired in the Malthusian Trap. I then asked why so many “free market” proponents want to weaken or eliminate property rights for inventions (patents). He rejected my premise that many free market proponents were anti-patent. He went on to explain that some inventions deserve patent protection that had shorter periods of time and that other inventions deserved longer periods of protection according to a perfect theoretical model of economics. For instance, inventions that would have been discovered by someone else shortly thereafter should receive shorter terms than “truly novel” inventions. He also suggested that patents inhibit the diffusion of new technologies. Finally, he implied that the way we increase our wealth is by driving down the profits associated with products and services. Reducing the profit margin in goods and services increases the availability of these goods and services. It is common for free market proponents to see the market process of reducing the profit and cost of goods and services as the major way free markets increase wealth. Several people pointed out that his proposal for different lengths of patent protection seemed to contradict his idea that capitalism is based on the rule of law, not the rule of man. The implication was that someone would have to decide which inventions would receive which term length. As a result, this would be an arbitrary rule of man decision. In fairness, Professor Wolfram pointed out that this was not true as long as the standard was objective. While I disagree that we should have different terms for different inventions, Professor Wolfram is clearly correct that this is not necessarily subjective. The empirical evidence does not support the suggestion by the Professor that patents inhibit the diffusion of inventions and technology. Those countries with the strongest patent rights also have the greatest technology diffusion. A major goal of modern patent systems is to spread the information associated with inventions, so that other inventors can build on the work of previous inventors. There is also no empirical evidence for the idea that inventions would occur without property rights for inventions. Those countries without strong patent systems do not produce inventions. The suggestion that, in a free market system, inventions will just occur is at best speculation and the evidence we have shows the opposite. When the US has weakened its patent system, our innovation has suffered as well as our economy. For instance, in the 1970s we weakened our patent system and the US started to technologically fall behind Japan. For more information see Foreigners Receive More Patents Than US! The most troubling part of Professor Wolfram’s response was the implication that wealth is created in a free market economy by driving down profits. Professor Wolfram seemed to imply that there was a “correct” or “optimal” amount of return an inventor should receive for a patent. Shouldn’t we celebrate inventors who create something that everyone wants? If an inventor creates something very few people want, how does that hurt technological diffusion? More importantly, is it really true that wealth is created in a free market by driving down the profit margins of manufacturers (or inventors)? The idea that the real power of the free market to create wealth is in its ability to foster competition (for the same product) and therefore drive down profit margins is incorrect. If we were able to obtain every product available in 1900 at its cost or even free, we would not be nearly as wealthy as we are today. Wealth is mainly created, not by cost or profit reduction, but by the creation of new inventions, i.e., technology. We do not want people/companies competing to produce me-too products, but competing based on inventions. Shortening the length of patents will encourage competition on me-too products instead of creating new products. While the optimal length for patents may be difficult to determine, shorter terms will discourage innovation. There is no evidence that the present length of patents are inhibiting innovation or the economy. The idea by free market economists that the power of free markets is there ability to reduce the cost of existing products also leads to fallacies about antitrust law (now rebranded as competition law). This cost reduction theory suggests that we should aggressively apply antitrust law to create competition. However, the empirical evidence shows that periods of aggressive antitrust enforcement result is low levels of invention and weak economic growth. For more information see Foreigners Receive More Patents Than US! Wealth in a free market is mainly created by the invention of new technologies. It is a failing of economists to suggest that the power of a free market is its cost reduction of existing products. This fallacy results in an anti-property right policy towards inventions and an aggressive application of antitrust laws. The empirical evidence shows these policies do not create wealth. Well, there you go again –as RR would say– using a word (“wealth”) without defining it. So picture this: two guys stranded alone on a desert island. One “invents” a game using Sand and Coconuts (SaC). The other “invents” a more elaborate game using Sand, Coconuts and Rocks (SCaR). The first guy refuses to play the SCaR game and sticks with his original sad SaC game. Ergo market penetration is only 50% for the new SCaR invention. Is their stranded civilization of two now “wealthier” thanks to these inventions (the SaC and newer SCaR games)? Next assume that 5 new guys show up empty handed on the island and they all start playing the sand, coconuts and rocks game (SCaR game). Accordingly we have “growth” in the SCaR sector. We have a larger number of “consumers” adopting the newly invented game (SCaR game) and we have a larger population of people living on the finite sized island. So under many of our “rational” economic theory algorithms, we’re living the life of Reilly: increased consumer base, increased market share and over-all basic “growth”. Wonderful. I believe I have defined wealth before, it is ability to produce goods and service wanted or needed by humans. More exactly it is the ability to produce goods and services that reduce entropy for humans. In the case of your SCaR game the first question is whether games meet the definition of wealth. Again using your scenario, games may keep you sane or allow your mind to relax, both of which would reduce entropy. Insanity is an increase in entropy and the ability to relax helps your think more clearly, which reduces entropy for humans. Can the SCaR game be played by a single person? 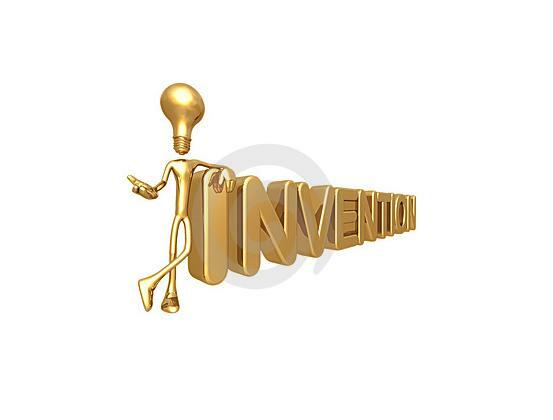 If so then it provides wealth for the inventor. If it cannot be played by a single person, then it does not create wealth. This does not alter the fact that inventions are the way humans create wealth, we have not other mechanism for doing so. In the five person scenario, you have not increase per capita wealth. For us peasants living in a wealthier country, but still having the same per capita income is of little value. Your scenarios miss a number of important points. If the people on the island cannot provide for their basic needs of water and food then neither game will provide wealth, since they will die shortly. The game may provide wealth or value if there is a chance they will be rescued shortly and it keeps them sane. It all comes down to reducing entropy for the humans involved. A much more interesting point about a deserted island is to assume one person has a million dollars of gold and the other person has nothing on the island. Is the first person wealthy? If there is no chance of being rescued then the gold person is no wealthier than the non-gold person. The gold does not allow them to produce anything that will reduce their entropy so it has no value. Gold could be replaced with greenbacks or digital entries in the federal reserve system. In any society, the wealth of a person is related to what can be exchanged. The purpose of the exchange is to reduce that person’s entropy. As a result, gold in most large societies is a store of wealth and because it can be exchanged for other people’s labor, in the form of goods and services. This leads to another important point, money is just a generally transferable IOU. This is true whether it is hard money, gold and silver, or fiat money. However, it is harder for governments to tinker with hard money. You accept money for your labor instead a good or service you need, because you believe other people will trade their goods and services for the money. I have defined wealth before [= the] ability to produce goods and service needed or wanted by humans. On this point I think we simply will agree to disagree. I define wealth as a short hand for “well being”. The well being of an individual and of the society he/she lives in is a complex thing. Yes, there is physical health on a day-to-day basis and mental health. Then there is long term (sustainable?) well being. Sustainability is pure political sloganeering. Wealth as well being is not a definition but a feel good phrase. It allows all sorts of nonsense that is used by statists to justify destroying freedom and stealing wealth from one person to give it to a politically favor group. Continuously spending money at a rate that is substantially greater than the maximum rate at which you will ever earn money. Even a die hard right winger has to agree that such an activity is not “sustainable”. So the concept of sustainability is not “political sloganeering” because no matter what side of the political spectrum you stand on, there will be something that you will have to agree is simply not continuable on a long run. As for “wealth”, I was surprised that the dictionary definitions excluded “health” from the definition of wealth. Apparently you can be considered wealthy even if you are of extremely poor health and you nonetheless possess an “abundance” of this stuff known as “money”. So according to the dictionary, two men stranded on a desert island and dying of starvation are “wealthy” if they each have a bank check for $1Million stuffed in their pocket at that moment. Interesting. As for having a pile of gold coins while stranded on a desert island, that is an entirely different animal because gold is a useful metal. With some rocks you can pound the gold (a very ductile metal) into a concentrating solar mirror which can then be used to start a fire and/or signal an offshore ship. The whole point of the post is that there are definitely circumstances that are unsustainable. There are numerous examples of ancient societies that collapsed because there were unsustainable. Some were unsustainable because of greedy governments, but many were unsustainable technologically, which many would now characterize as ecologically. For instance, there is an argument along that line for the fall of the Roman Empire. The Japanese regressed technologically, because their population grew to unsustainable levels. The more important point of the post is that no present level of technology is sustainable. As a result, the goal of a sustainable technology is non-sense. This follows directly from entropy. The only answer is either to invent faster than we run out of any particular resource or just give up and condemn most of humanity to death. I show that it should be possible to for technological progress to outstrip the diminishing returns due to entropy, as long as invention is rewarded – preferably with property rights. Note that you gold example requires inventing. I hear where you are coming from and empathize with it. Certainly the most foolish thing for any civilization to do is to suppress innovation by not having a patent system and by thus asking inventors to work for free while everyone else gets compensated for their efforts. (In other words, inventors live under communist rules while other workers get to live under capitalist rules.) That simply is not fair. With that said however, there is something known as Tainter’s Complexity Theory. It says that complexity within an anthropological system always reaches a point of diminishing returns whereby increased inventing and increased complexity leads to faster downfall rather than slowing of the downfall. For example, let’s say we invented a way to find oil underground faster and to extract it faster. To the untrained lay person that sounds like a wonderful “improvement”. However those in the know would appreciate that the hypothetical invention is actually sowing the seeds for faster and more catastrophic downfall. Some “improvements” make matters worse rather than better. I picked my moniker, “step back” for several reasons. One of them is the idea of stepping back and grasping the bigger picture rather than rushing hastily forward in the direction of the cliff. Somewhat true, but the post “Sustainability isn’t Sustainable” explains that it is not by improvements in existing technologies that we overcome their limitations. It is by new categories of technologies that we overcome the limitation associated with existing technologies. We did not overcome the limitations of vacuum tubes by constantly improving them, we invented transistors. We did not overcome the problems of peak guano by building better ways to find guano, we created the Haber Bosch process. None of these solutions is permanent. We are going to reach the limitations on the number transistors we can place on a 2D slice of silicon. In a way, this is similar to the myth of Sisyphus. We have to keep inventing or we will have mass starvation. This is result of entropy. However, all evidence points to the fact that humans can invent faster than diminishing returns due to entropy. Adding the specter of complexity theory does not change these basic facts. I would agree to this in general. Wealth is the ability to reduce the entropy for human beings. Now this may seem at first to contradict your example of how can one die wealth then? Clearly, the ultimate struggle against entropy is to stay alive and if I die how can I be wealthy? Well I could have built a house that while it does not reduce the entropy for me sufficiently to live, it reduces the entropy for my heirs. They have the advantage of shelter from the entropy increasing elements, without having to expend energy to create the shelter. My wealth does reduce entropy for other humans. Thus, it is possible to die wealth or be sickly and be wealthy. Please don’t waste your money on buying a house! Enroll in a cryogenic body preservation and petrification program immediately. Cryogenic freezing will prevent increase of your personal entropy. And petrification by a self crystallizing replacement substance will further reduce your entropy. As Spock of Star Trek would say, It is clearly the most logical thing to do if one wishes to minimize entropy. I can’t wait to see your definition of “entropy” and explanation of why minimized entropy is always a good thing. Stepback, You can be so daft sometimes. Life is a fight against entropy. Or as Edwin Schrödinger states life feeds on negative entropy, or negentropy. Your heart beating clearly decreases your entropy – it does not increase it. It provides energy to your cells that use this energy to create order. The net thermodynamic effect of me (if alive) and my environment has to be increased entropy. That is just basic thermodynamics. You can be so daft sometimes. Your understanding of entropy is seriously flawed. You are not a closed system. By adding energy you can decrease entropy. This does increase the entropy somewhere else. pebble in a big river. of the law of “entropy”. (radially out) into outer space. I’m not the one with flawed understanding. Yes, entropy has to increase globally (over a statistically long enough time – it is subject to quantum mechanics). However, entropy can decrease locally. If not, you would not exist. So yes you are the one with the flawed understanding. We are in full agreement at least as to that point. Once again you are incorrect. It is very clear in quantum mechanics that there is a probability that entropy will decrease without the input of energy. 😉 That is indeed a “radical” way of viewing the Universe. So what you are saying is that when a free radical O atom encounters two free protons (H+ and H+) and they combine to form H2O while at the same time releasing exothermic energy and at the same time “reducing entropy” (because H2O is more ordered than free roaming ions), you get to say that there was no “input of energy” and entropy nonetheless “decreased”? But that of course begs the question: where did the free roaming O and H ions come from and where did they get the energy for their masses to roam into each other? I know the answer. It is that you don’t want to know. Heisenberg uncertainty principle. Right?